More than just a diet, veganism has become a lifestyle. Vegans choose to avoid all animal products, which include eggs and dairy. As such, many think that vegans cannot have any wine. But the truth is, while they may be more restricted than vegetarians when it comes to wine drinking, they actually get more changes to taste and consume some of the most beautiful wines created. Wine is created through many processes. 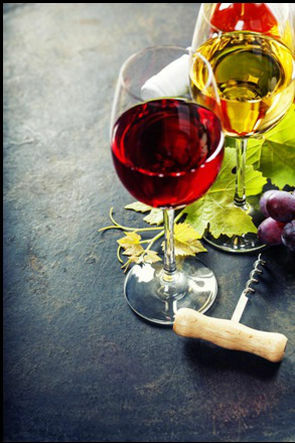 Some wines that are fined with animal products such as gelatin or isinglass are ruled out by both vegans and vegetarians. Along with which, there are several particularly fine wines that are not consumed by vegans because they use egg whites. Now, this may seem like vegans do not have a lot of options left. But the truth is that because there is so much focus on veganism, many wine makers are creating wines that are suitable for vegans, such as organic wines. While for the usual palette, the taste of organic wine might not differ as much from the usual. But for vegans, their attitude towards food can completely change their whole approach. Vegans do not consume wine from grapes that are treated with artificial fertilizers or pesticides. As such, their palettes very much taste wine on a different tenor than other people. This is also because their taste is not hindered by the usual consumption of any artificial preservatives, man-made products or food products derived from different animals. The style of food that vegans consume has an acute effect on the type of wine they drink. For those whose diets are largely based on vegetables, they may find the sharp hit of white wines to be more appealing to their taste. Whereas for those who eat pulses or rich food ingredients such as mushrooms or eggplants; they may lean more towards a full-bodied Chianti red wine. Raw food or any raw dishes work well if paired with crisp white wines or rosés. With much spicier food, wines with a hint of sweetness work well, as they allow the food to be incorporated with the taste of the wine, while maintaining their own flavor. By that, they give their essence to the food ingredients while keeping their own savor intact. Being a vegan gives you the chance to extend your own taste. And by choosing to drink only organic wine, you allow yourself to be taste the optimal flavor of wine without any artificial intrusions. If you want to try the taste of quality organic wine, go ahead and visit Montemaggio and take a tour of tasting the best wines in Tuscany.